I’m gonna let you in on a little secret I recently learned from Audrey Dunham in this super fun podcast episode we did with her. And it’s going to change your life. It is simple and quick and easy and delicious and everything right with the healthy eating needs of busy peeps like us. Seriously. 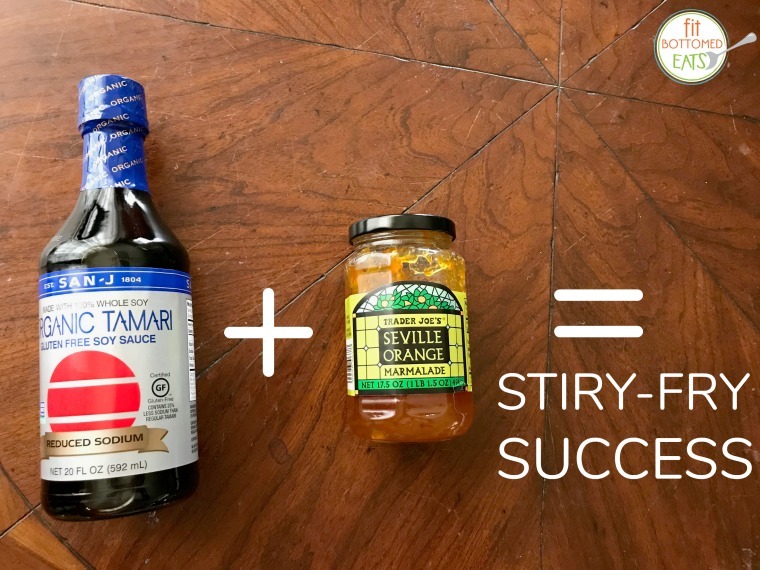 A little soy sauce or coconut aminos mixed with a little orange marmalade and you have the most delicious stir-fry sauce for basically any of your fave veggies and proteins. Here is Audrey’s full recipe for her 15-minute Asian Stir-Fry, but I’m telling you. Even if you just drizzle soy sauce over your veggies and then mix in some orange marmalade as it’s cooking (it basically melts into the soy sauce and veggies), it’ll create a great stir-fry sauce that has really delicious umanmi flavor plus a twinge of sweetness and a hint of acid that is just really lovely. Especially for how damn simple it is. Great on a busy weeknight.